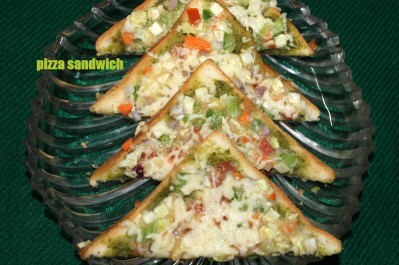 Pizza sandwich is a very easy and quick sandwich recipe which is healthy too with all vegetables added to it. 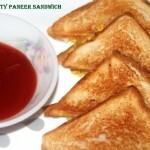 It is a perfect evening snack for kids as they will surely love this sandwich. Take one single piece of bread slice. 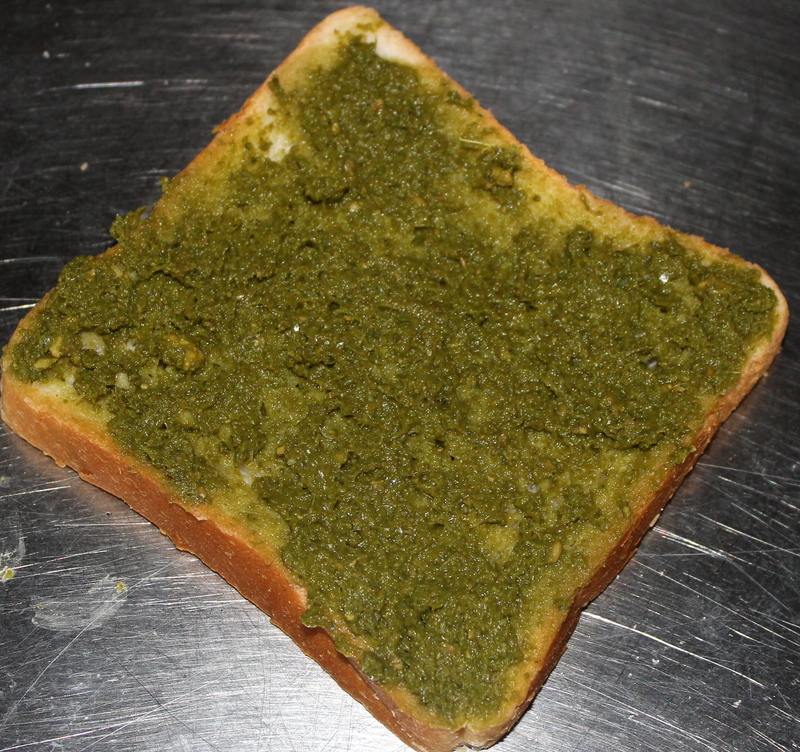 Smear or apply mint chutney evenly on the bread. 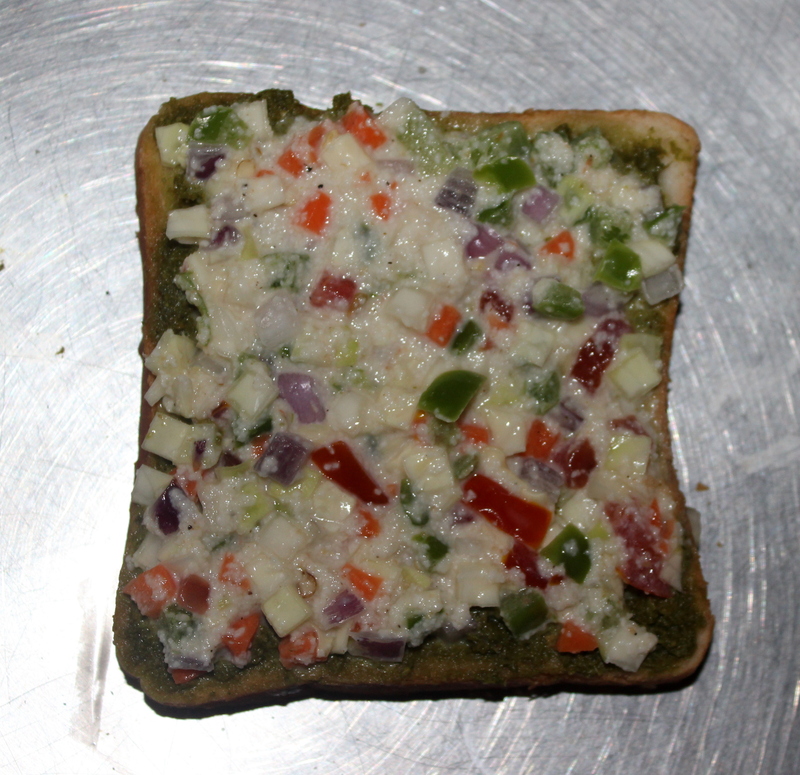 Then spread the vegetable mixture evenly on top of it. 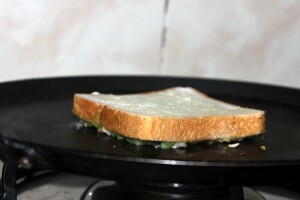 Heat a non-stick pan on a medium flame. 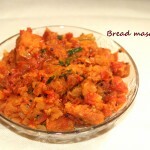 Place this bread slice with the mixture on the face of the pan. 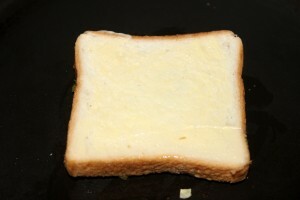 Smear butter on the top of the bread slice. 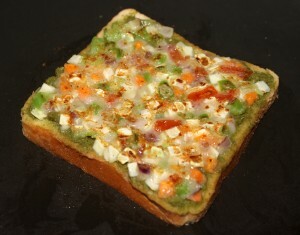 Heat for upto 2 minutes on a low flame. 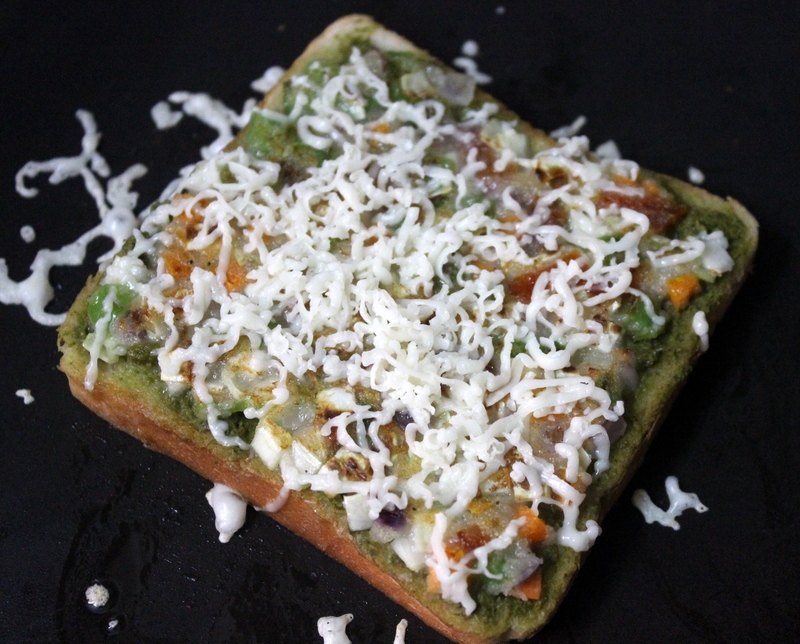 After 2 minutes, flip on the other side and grate the cheese on the top of the bread. 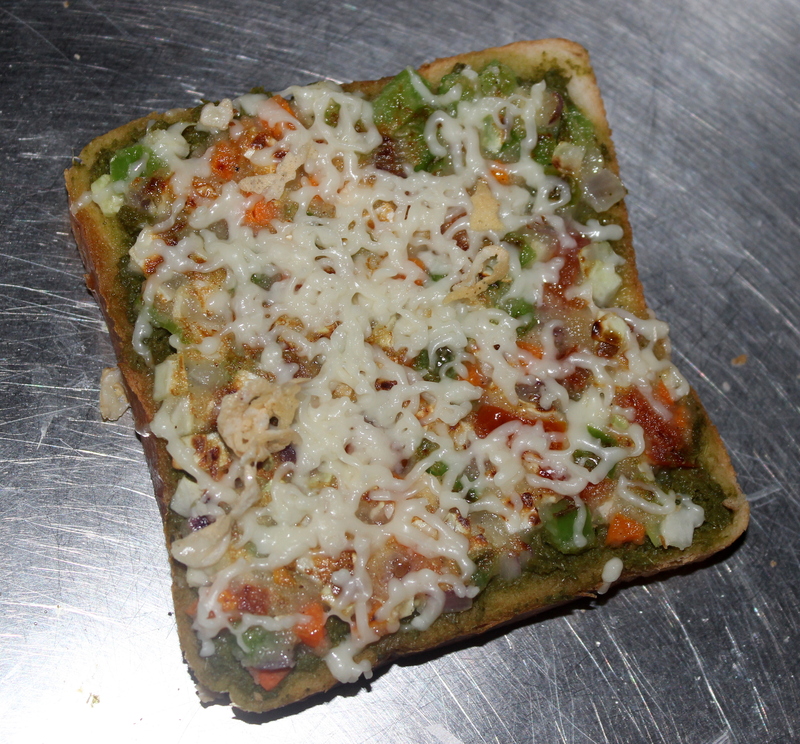 Heat on a low flame for another 1 minute till the base gets little crispier. 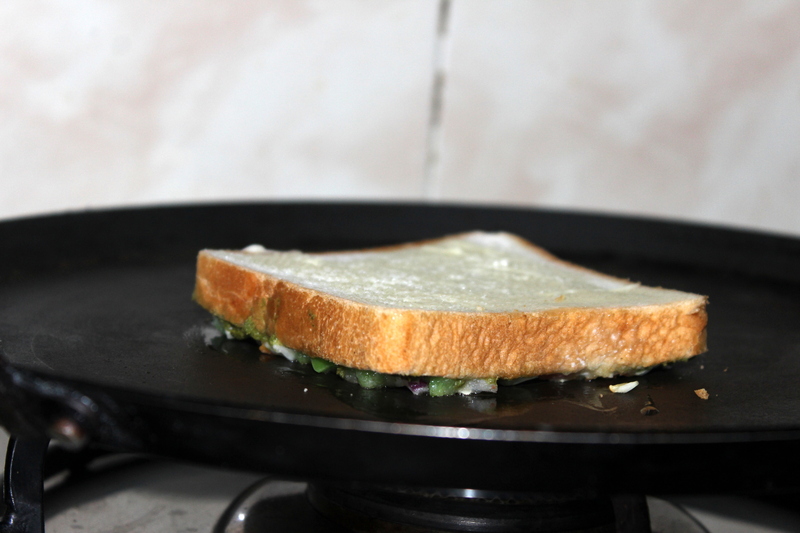 Remove from the pan into a serving plate. Pizza sandwich is ready to be served. Cut it into equal pieces or diagonally and serve hot with tomato ketchup. NOTES : You can also use white bread, but brown bread is a healthier version of this sandwich. 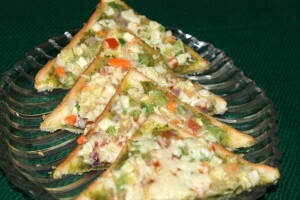 I am very delighted to inform that my pizza sandwich recipe has been featured in an ebook published in indusladies. 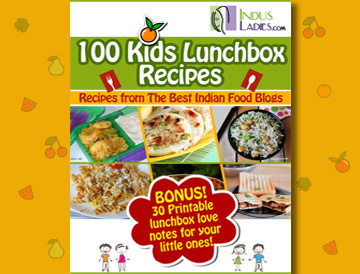 The recipe book includes 100 easy and simple recipes contributed by best Indian bloggers and 30 printable lunch box notes for your kids. 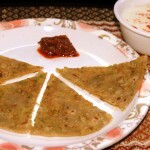 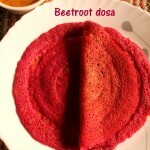 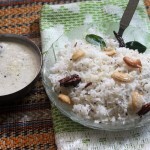 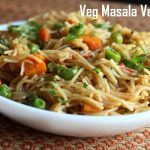 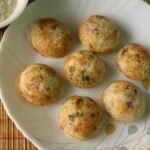 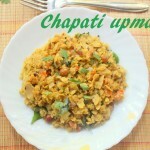 Do try these recipes..
Yummy recipe… Looks so tempting. 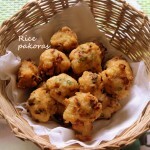 Looks so good and tempting me to prepare. Thanks for trying my recipe..